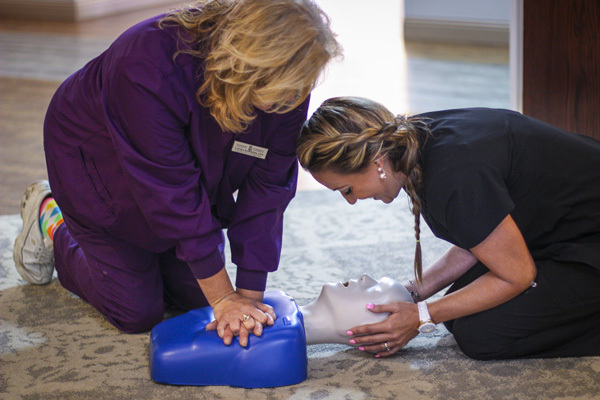 Loved ones can take comfort in knowing that in the event of a medical emergency, Woodbury and Stonebridge are equipped and ready to take the appropriate action necessary to ensure a quick response in a time of essence. In addition to on-site physician services and registered nurses, New Hanover Regional Medical Center is a short drive away from our campus. You can rest assured knowing your loved one is in good hands should there be a medical emergency.